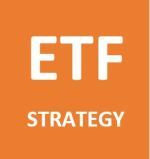 The dividend yield calculation enables you to predict what return you will get from dividends at the current stock price. 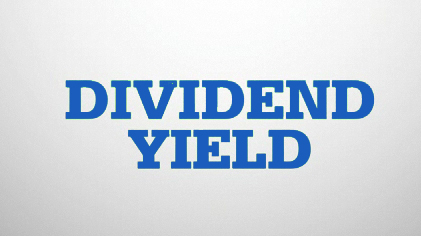 For examples, if the current share price is $100 and you expect a $5 annual dividend, then your dividend yield is 5%. The dividend yield calculation is important as it enables you to compare income returns from different stocks and allows you to compare the stock, ETF, or mutual fund you are thinking of purchasing against different types of investments (or asset classes) such as US government bonds (treasuries) or real estate. 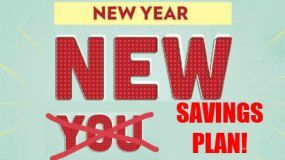 Click here to use RetireOnDividend.com's dividend yield calculator. 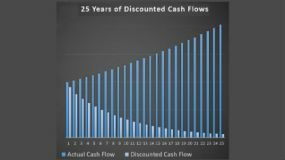 Why is the dividend yield calculation is important for me to know when I'm making deciding whether or not to invest in a stock? Because it's vital that you think about the value you receive when you purchase stocks. One very important value measure is the dividend yield. A great quote from Warren Buffett is "Price is what you pay. Value is what you get." Cash dividends are cash payments to you as an owner, so you are literally receiving a payment for your investment. The size of that payment can be very important to your overall return. General Electric (GE) is currently paying a quarterly dividend of $0.23 per share, or $0.92 per share annually. GE's share price is currently $29.13, so the dividend yield is currently (0.92/29.13)*100 = 3.2%. I've heard people talk about "forward dividend yield calculation" what is that and why is it important? Sometimes you'll see the "forward dividend yield calculation" mentioned. This is simply a prediction of what the dividend will be in future years against the current stock price. This is important because many companies are growing their dividends year in year out. Johnson and Johnson, for example, has recently announced their 54th consecutive annual dividend rise. How impressive is it be to receive 54 straight years of pay rises!? Dividend growth can be extremely powerful over time. If a company is growing its dividend by 10% a year then the dividend will almost double every seven years. So what may look like a modest dividend initially, can turn into a very high yield on your initial investment with strong dividend growth. Be wary of very high dividend yields! 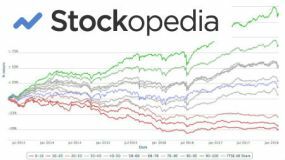 It is very important to not just look at the dividend yield when deciding which stocks to buy. This is because you could fall into what is known as the dividend trap. This occurs when you buy a stock that has a seemingly high dividend yield just before the dividend is cut or even eliminated. Remember a company does not have to pay a dividend at all whereas they must pay their creditors if they want to avoid bankruptcy. As a shareholder you rank below the debt holders in the capital structure. If you find a very high dividend yield (say greater than 6%) then you need to investigate why. It could be that the company has hit some problems and may, in the near future, cut the dividend to preserve cash. Dividend yields can also get very high when the market is down and general pessimism drives stock prices lower. In these circumstances, a high dividend yield isn't such a bad thing, as long as you're satisfied that the business is sound. Weak markets are more likely to offer you bargains and the long term investor should embrace them.